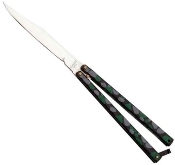 Traditional Butterfly Knife. 4" stainless steel blade. 9" overall length.